This last week has been wonderful overall. I got my Baby Love box from LittleEcoFootprints, I got my fluff from Green Baby Goods, I got my coupon for a free box of disposables (since the last box I bought so many of the diapers leaked). This was all exciting and fun. What made this week truly awesome was that it was reading week for universities so M had a week off of work (though he worked at home). Hence this was a family week for us. It was great! Alek would wake up in the morning and we would carry him to our bedroom for cuddles and playing. Then we would actually get up about half an hour or hour after that. I had so much more help at home and with Alek, which was very welcome. Though, I really can't complain M is wonderful with helping out! There really isn't anything to huge or meaningful to report other then buying a new exersaucer, which I am disappointed in. His hopefully better sleep pattern *knock on wood*. Settling into our cloth diapering routine. Oh and our little play date. As I have mentioned we began using our cloth diapers and I am learning and tweeking/changing and settling into a routine. When to wash, whether I need an extra rinse cycle. Drying. All those wonderful things are now being learned and becoming a routine. So far the disposables have been quite frankly avoided in favour of cloth (except for night). The disposables can now be found under the "diaper table". I went to the dollar store and bought plastic box things for storage, one for prefolds and covers one for pocket diapers. Also I made room for our new creams etc. Our little play date. On the weekend we went over to family friends house. They have a little girl who is about 4 weeks older then Alek. She has been cruising since 5.5 months. Yep! My jaw dropped too. It is even more crazy to see with your own eyes then it is to hear this. There is a tiny little girl who crawls over to something, pulls herself up and begins to walk around whatever item she is hanging on. So, she kept crawling over to Alek who was happily sitting in her incredible exersaucer (Evenflo- Life in the Amazon), which goes from play gym to exersaucer to table. He was doing his new favourite thing...JUMPING. He was jumping and whacking at different birds and toys that would light up and make noises. Well she hates this toy but she must have gotten jelous seeing someone in HER toy. Or maybe she was just interested that there was someone just as small as her. So she comes over and tries to touch his face, his hand. The reaction? To her? None. He wouldn't even look at her. He kept on playing. Maybe it is the fact that he is younger, but I think this is a prime example of the difference between boys and girls. Girls are interested in faces, expressions, communication. While boys are more spacial. Lastly. The exersaucer. Sigh. We decided to maybe move our beach one to one of the grandfather's houses. Since my dad decided to pay 1/2 for a new one with cooler toys, since the downside of the exersaucer we have is that it does not play music and he LOVES music. Also a big bonus to finally have something baby over at the other grandfathers house. I bought the Baby Einstein Neptune. A) I like Baby Einstein products. B) It was 50% off. C) It plays music and no lights that flash and can give him a headache. Well, I really don't like it. It is much smaller and I kept worrying whether it was to small for him (it isn't but the toys are kind of cramped in looking). I guess its nice that it takes up less room but it looks cheap and strangely squished together. Next, it was so much harder to put together then the Evenflo exersaucer. Plus, once you click the toy in its practically impossible to make it come out. Also the toys have a specific order you MUST put them it so you really have to make sure you don't make a mistake. Worst problem of all is that it has NO springs. What does this mean? No jumping. My son is in a jumping phase now and he can't jump in this really. Lastly, once you are done with it since the toys can't be pulled out you have to hide it with the toys still clicked in. Ughh wish I spent the extra money and got another Evenflo one. The Amazon themed one converts and "grows" with baby quite nicely. Anyways,this has been my week. Nothing too exciting for others to read about. It was amazing and I felt wonderfully content. Hope this week will also be great...and if it wont maybe I'll learn something new or have a lovely rant to post! So for my birthday present, yet again, I decided to order something not for myself but for another family member. Last year the cat got a wonderful scratch stand toy thingamajig. This year Alek got some surprises. I searched and searched online for a good cloth diaper, organic, natural store. There are great ones in the U.S. The Canadian stores are more expensive and unfortunately do not always carry the same items. Even the American stores cannot always ship every brand to Canada. I was on the hunt for a Flip Day pack, Kawaii Goodnights and some prefolds. Also I wanted an organic diaper cream/balm without petrochemicals and other nasty additives (Ewww read about the junk added to creams- wish I hadn't read about it but so glad I did!). Anyways, I searched and searched. Looking for great reward possibilities, pricing, shipping options and prices, samples, products and product reviews. I finally found the store I would order from, even if they did not carry the Flip Day Pack they carried amazing products, had great products and wonderful deals! The online store that I am talking about is Green Baby Goods, the link is https://www.greenbabygoods.net/ . The store specializes in natural, organic and green products and attempts to "help stomp out our carbon footprint." The owner is Erica Filson a mom of two boys, whom she cloth diapered! She is located in Leo, IN and you can set up an appointment with her to learn more about cloth diapering. "She is in the process of creating tutorials as well as information gatherings for those wanting to know about cloth diapering, breastfeeding or baby wearing. For those interested you can click the "Contact Us" tab on the left hand side on the store's website. Some of the great things this online store has to offer: point reward system, great prices, great products, quick and helpful customer service, deals of the day, give me 10 deal, free lip balm if you spend $50, layaway, explanation of cloth diapering systems, samples, free shipping after $25 for US residents and after $50 for Canadian residents and much much more. - I had a problem with the checkout not giving me free shipping and I got a response and help quickly.I have never gotten such quick and wonderful customer service before. - For each item you buy you get point you can later redeem and get items such as diapers, balms, laundry detergent and more! - If the price is too much to spend all at once you can buy it on layaway giving you up to 3 months to pay the sum in portions. - Each day there is a new deal, sometimes 21% off sometimes 29% etc. these are great times to buy a diaper you have your eye on. 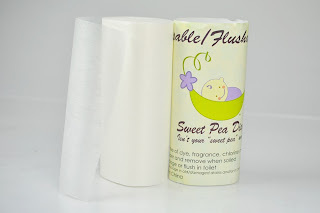 I have not tried these out yet because I began with the other roll of liners I purchased. These are also 100 sheets in a roll and these liners cost $7.50. I love that when they were shipped they were placed inside of the wet bag to keep them clean. 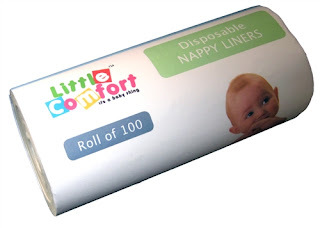 They appear about the same thickness as the other roll of liners and I'm guessing are just as good though as a beginner in cloth diapering I cannot exactly give the same type of review or know the same nuances as the experts! These liners are made out of 100% viscose rayon. They can be flushed in the toilet and are biodegradable A roll of 100 costs 7.98. These are the liners I began with. I never used liners before and really as I have mentioned have been actually cloth diapering a whopping 1 1/2 days before I got these liners in! My first reaction: why is the diaper still getting stained? Then I realized how this system works. The liners catch the waste but some poop still seeps through, the benefit is that you don't have to dunk your diaper or hose it down after use, you can just put it in the washing machine. This makes sense because the liners looked very thin, kind of like dryer sheets! I need to give this American made product more time. I love that it is made without petrochemicals, parfum or other stuff added into baby products and wipes. This product is natural and uses ingredients such as chamomile, aloe vera and other non toxic flower and plant based resins. The smell is not overpowering but herbal. This product is used with cloth diaper wipes. You spray some of the booty luster on babies bum and wipe. Simple to use. This may be less ounces/grams of product for the same amount of money as some other products in which you mix your own solution but this is more convenient The work is done for you and it already comes in a spray bottle. I have tried it several times. I think I wasn`t using enough at first because it was not wiping everything as clean as I would have liked but now there is no such problem. My first reaction when I saw this was: it's so small. I felt confused. Well my reaction was wrong. This "blueberry" coloured wet bag is very stretchy and does indeed fit a nice amount of diapers. Right now the wetbag is holding 2 diapers, two very large inserts and there is space for for at least several more diapers and inserts. The fact that it is an elastic drawstring probably allows for more diaper space. Wetbags are great for soiled cloth diapers, swimming suits, wet clothing or other soiled and wet items because they hold the damp items without leaking. This bag was definitely worth the $7.50 I paid. I purchased 6 Kawaii HD2's before these Kawaii Goodnights and they had arrived a day ahead of this shipment (though were ordered much earlier). Alek wore them all day instead of disposables and I was impressed especially after my only cloth diapering experience being a cute Dr. Suess Bumkins diaper, which was quite sub-par. Meanwhile reviews for these diapers are even more positive then for HD2's. After washing them the inserts fluffed up real big, which was very reassuring to me that it would keep my heavy wetter dry. Also the inside lining of the diaper was super soft, it is made from micro fleece and is nice to the touch. 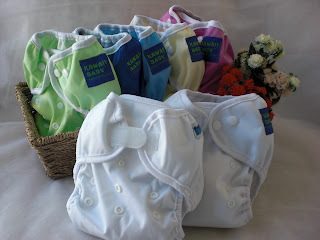 Kawaii makes amazingly absorbent inserts and Kawaii diapers each come with two inserts, one insert is used during the day and two for nighttime. All reviews seem to mention this diaper as being one of only few good enough for all night use. I used one during the day and it holds up well for 2-3 hours and Alek is fully dry and not lying in a damp diaper, this is awesome for eliminating diaper rash and redness (one of my main reasons for switching from disposables). These diapers are a 2 part cloth diapering system made with a waterproof outer layer. "Extra protection against leaking cloth diaper, featured 3 layer outer shell, specifically designed for confident nighttime protection...Fits babies 8-36 lbs. An easy clean surface with animal print introduces animals to your little ones, cute and trendy dotty and cow prints, perfect match with your outfit!" The cover/outer layer is created from (TPU) thermoplastic Polyurethane Laminated fabric. Another great thing is that the pocket opening is really large making it easier to stuff even 2 inserts inside. The materials are environmentally friendly and the microfleece fabric used is 40x more absorbent than cotton and yet is also less bulky then cotton would be! I have set my mind to learning how to use these. My first attempt was quite frankly hilarious and my poor child was lying in a bulky diaper with a prefold sticking out of each opening in the cover. This is not the fault of the prefold it is mine. To add to this issue I also ordered the "baby size" when I should have ordered a size smaller since I don't want to use pins or fasteners. This diapering system (prefolds) are more difficult to use compared to other systems (AIO, AI2, pockets, fitteds) but apparently become very easy to use when you get used to them. The second and third time I used the prefolds they were already all normally contained within the cover and I felt like I did a better job but this is much more difficult and less absorbent then the Kawaii pocket diapers. Then again these prefolds are much more absorbent then I expected them to be. 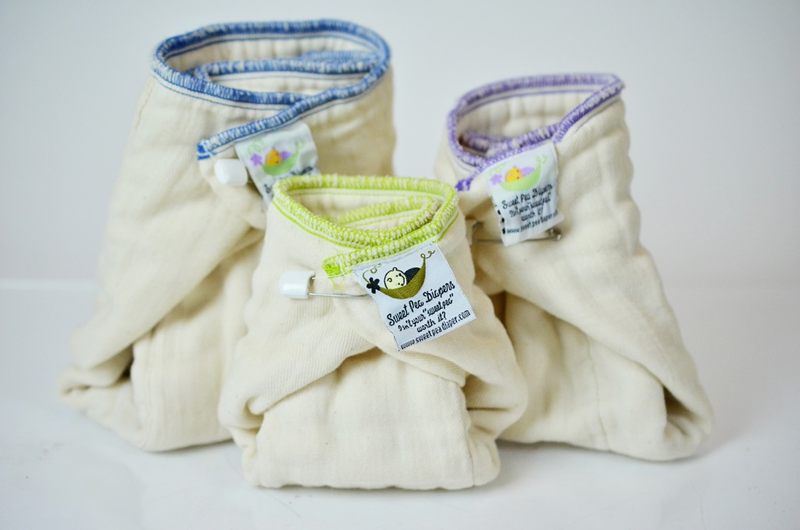 A big benefit to prefolds is that they are cheaper then most other cloth diapering systems. For example this prefold is $2.50-4 and the Kawaii cover was $5.95. I bought one regular dark blue and one minky tiger print. The minky is beyond soft and plush feeling. When Alek got a handful of it before I put it on he kept touching the cover. It is made without latex to avoid skin irritation. 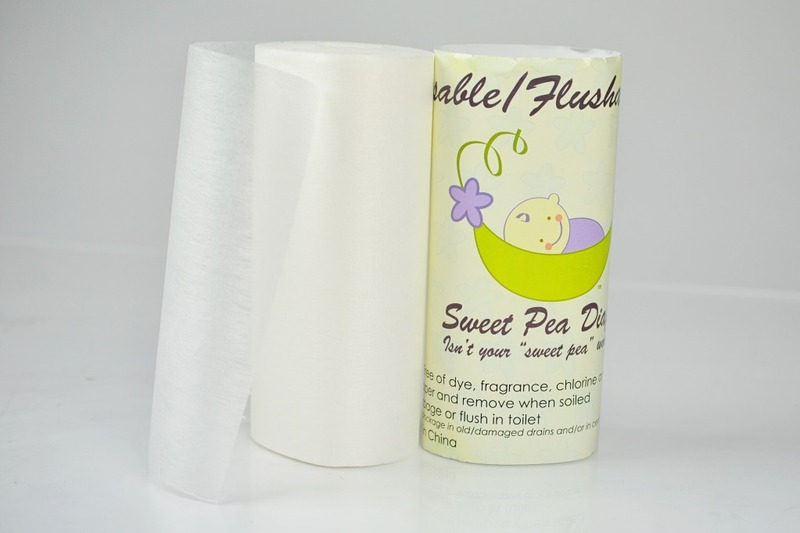 It did not wet through when used with the Sweet Pea Prefold. The snaps allow for babies between 8-36lbs to use the same cover. Also, the cover can be reused unless it was soiled through the prefold or fitted diaper. I like it but I still need to get the hang of prefolds fitting inside the covers properly! I got this item free since my order was over $49. The lip balm is not made with beeswax like many others. The balm is not tested on animals and comes in standards tubes made out of post consumer recycled plastic (why not help the environment when we can?). Ingredients include but are not limited to: avocado and coconut oil, caster oil and caranuba wax. I wasn't too excited about this item until it arrived and I gave it a shot. My lips felt fabulous after this balm. It is winter and really dry and cold weather. In this type of weather anyone's lips get chapped and even sometimes bleed. This balm is different then most other balms. It feels like it gives a nice thick coat when you put it on. It stays on the lips well and doesn't just absorb/dry out or rub off on other things like your coffee mug quickly. Next thing you know your lips are actually so soft again and feel great. 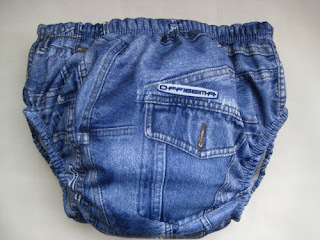 These are ideal for potty training when a child has less frequent accidents. It pulls up like underwear and helps them recognize when they wet their pants. It is thicker then underwear but is not like a diaper. The outer layer is TPU fabric, which is lightweight and breathable, meanwhile the inner layer is absorbent suede cloth with 3 layers of cotton padding. I wont be trying this item for at least 6 months, so I cannot give much first hand knowledge. I cannot say anything about how absorbent or comfortable it is for a toddler. It looks bulky though, thinner then a cloth diaper but much thicker then underwear. The jean design is adorable. I'm not sure how good it would train a child not to have accidents because it sounds and looks very absorbent and thick. Loving this Hawaiian made baby balm so far. It is a natural greenish/brown muddy kind of colour and appears as if it has seeds. Some of the ingredients include: olive, coconut and macadamia nut oil, chamomile, rosemary, candelilla wax and st. john's wort. 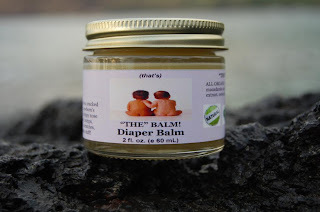 This balm has many uses and claims to help with diaper rash, bug bites, eczema, post-partum "owies", cuts, hemorrhoids dry hands and so on and on. It strongly of chamomile and gives the feeling that one has entered an apothecary. It goes on smoothly. Its cloth diaper safe. And I don't know what else to say I just really like it! Whats great about this diaper balm is that it comes in a twist container like a lip balm so you can fight against diaper rash without getting your hands dirty. This balm can also be used not only on rashes and skin irritations, but scrapes and cuts. This balm moisturizes and soothes little ones skin. This antimicrobial and antibacterial balm is made with natural ingredients such as rosehip oil, olive, oil and shea butter. I haven't tried it enough to say how it works for redness. 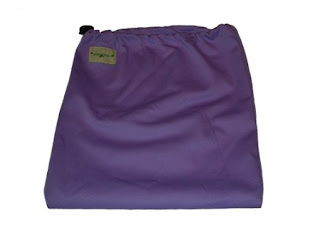 What I can say it spreads easily and would be great in the diaper bag for diaper changes on the go. The scent that I smell is lavender, but it is not a very strong smell (especially compared to THE BALM!. It is a thicker texture then THE BALM! probably because of the beeswax. Overall, it is a great choice of diaper cream. I have not tried this out but this cream seems extremely popular so I bet its pretty good. I didn't want to try to many creams in the same week especially since we tried the Gaia cream from The Baby Love Box from LittleEcoFootprints as well. I am very pleased with the products, service and deals from Green Baby Goods and will be shopping here in the future! I wrote about subscribing to the LittleEcoFootprint boxes earlier, well mine arrived yesterday. (Hope I don't ruin what's inside for anyone who still hasn't got theirs). For those needing a recap LittleEcoFootprints " is a monthly subscription box for mom and baby (newborn to 3 years), delivered to your door filled with healthy, natural and Eco-friendly products selected by real moms." 2) Gaia Natural for Baby Skin Soothing lotion for baby. This lotion is enriched with calendula and lavender for soothing relief for redness and irritation. This cream is ideal for diaper rashes and for eczema. 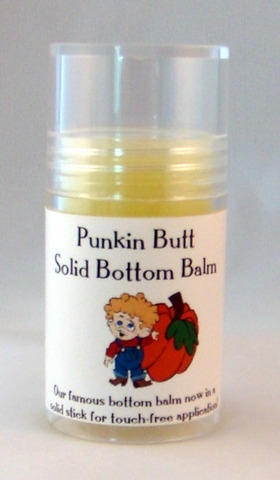 It is great for diaper changes but is for any relief of skin irritations, redness or sore skin. This product is free from petrochemicals, artificial fragrance mineral oils, parabens, glycols or animal ingredients. To me the scent seemed more mild and very calming and nice. I will admit that I did not read "natural for baby" and thought this was for me. I carefully put some on my scars from previous surgery and then had a strange feeling that this reminded me or diaper rash cream (it was kind of thick). Oops. Anyways this product I liked and will gladly use this on my son tomorrow and for some days to come. If interested in finding out more about this product the site is listed above. 5) Caspar Babypants CD. Acoustic, timeless, sing along songs for children ages 0-6 years old. I have not tried this CD out yet. I think Alek will enjoy it more when he gets a bit older. There are 20 songs on the disc and include but are not limited to: Run baby run, Im a nut, Itsy bitsy spider and Sittin on this rock. 6) BabyOrganicJoy 5$ gift card This store is wonderful for organic and natural products. Anything from toys, cloth diapers, maternity, to even pre-school products. This store can fit MANY of your everyday needs...and wants! 7) EcoParent Magazine. To begin with I will say I love the feel of the pages of this magazine. That may sound weird but they do not feel like other magazine pages. They feel silky nice. May be a weird statement but you try it for yourself. I just feel like taking this magazine around everywhere just so I can feel the pages (okay I'm going overboard but really they are great!). Next, there are great articles about parenting, health & beauty, books, travel, home & gardening, food, fashion and kids. Articles range from exercises for those who baby-wear to choosing the right cloth diapers, to home eco-decor DIY, to an article about the midwives of the Matraea Centre. Plus there are great ads for various stores that fit your daily needs and wants. This magazine will be read in depth and probably highlighted for future use and knowledge. Useful item for sure. What's also great is that there is a 20% off for subscriptions or a whopping 40% off for digital only subscriptions! 8) A little brochure from Little Eco Footprint with the featured products/stores/brands, a recipe, 3 articles, and a playdough recipe. I'm definitely trying out the playdough recipe when the time comes!!! Also great that there is a little blurb about each product company and 20% off for some of the companies. 10)Hand Made Wooden Jalopy Car by Bannor Toys: This is one of my, rather probably my favourite item. I have been meaning to buy my son a toy car and now we have one! I was about to buy him some plastic car but this is eco friendly made with natural materials and is beautiful. These toys are made in Iowa and are not mass produced. LOVE LOVE LOVE it! All in all, this box contains approximately over $55 worth of products plus codes to get 20% of certain stores/merchandise (you pay 25$ for your box). The products are great, some hit the nail right on the head with items that I need/wanted. Other products were great to learn about. There wasn't anything in there that I found actually useless or unneeded. Happy camper over here! On the day of love, we went into a different direction. We had more of a day of family love and fun. We started the day off with a wonderful photo session by a great new photographer. Infinity Photography is a new company founded by Marina Aleinikov, who is the lovely photographer. Infinity photography specializes in weddings, couples and children's (family) photography. The photographer has a very positive view of life and the wonderful place of photographs within our lives. She is a hard worker. Her photographs come out beautifully and she has many ideas for poses and styles for pictures. The photographer came to do Alek's 6 month photo's (and family photos) on Valentines day, a few days short of Alek`s 6 month birthday. In the afternoon we dressed our young man in a cloth diaper and a lovely baby blue corduroy one piece outfit and waited for the photographer. She arrived on time and ready to work. The atmosphere was very lighthearted and fun and time seemed to fly. We did many different poses in many different areas of the house. At one point Alek got exhausted about a half hour past his nap time and fell asleep! The photographer was very understanding, thankfully! The disc of photographs have not yet arrived and I am awaiting it anxiously even though less than a week has passed. The disc is set to arrive tomorrow. Yep that`s right, under a week after the photo session! Yes some are edited Yes I'm getting the raw images too! Awesome, huh?! This is efficient and quick work. Oh. that's not all. Eleven sneak peek photos have already been posted on Facebook and a few different ones on the company blog. I love them! The black and white family photo, Alek crawling and me and Alek playing are my favourites. I will definitely want more pictures captured by this photographer in the future! So in yesterdays post I said we decorated his room for his 6 month birthday. We moved when Alek was 4 1/2 months. Since then he lived in a room with bare walls. The only baby things were his diaper changing stuff on a desk, his bed and the chair I use when I feed him (well a few stuffed toys too). We decided to make the room more child friendly. His bed was placed haphazardly in a bad position in the room and we learned that it fits where we had originally wanted to place his bed but thought it would not fit. Next I went to Zellers and because of the closing sales I got 2 rather large children s carpets for $11 a piece. Love these carpets. The floors all over the house are hardwood and we have a dog and cat so we need a baby friendly clean place where Alek can sit, crawl and play. When he gets older he can play with his toy cars on this carpet since there are "roads" that he can lead the cars around on. Next, the walls were bare. We did not want any nails or paint on the walls so my mom found wall appliques. We had a jungle theme and with the carpet we added a transportation theme so the wall appliques combined both elements. The wall appliques are jungle animals on cars. Lastly, we have to add curtains. I took a photo before they went up but they are space rockets with the colours of the room (greens, browns, blues), hence the transportation theme. Its a bit eclectic because I was thinking when he gets a bit older the jungle theme will be gone and we will move into only a transportation theme. For now the room FINALLY looks child friendly. Today my dear son turned 6 months. My lil lovebug, darling,, wonderful happy young man is half a year old! Time has flown (even though sometimes it felt like it was stuck). I will treasure this past 1/2 year (and all the time to come) my whole life, till the moment I no longer exist. It has been the most wonderful time of my life, from your first breathe to now, and I hope for many many years to come of memories and great moments. I hope you learn, grow and become a healthy, smart handsome smiling charming adult. I hope that all your dreams, wishes and ambitions become a reality. I pray I will remember as much as possible and the memories do not just get lost. I love you beyond what I can describe, I never knew I could love someone THIS much! I am rambling because my mind is racing with things I want to say, so I will wind this down already. I hope you love how we decorated your room for this little birthday of yours and that you feel comfortable and happy in it. August 16th was the first full day your grandmother was here in Canada. We had a great morning and your dad came home early from work. In the afternoon I exclaimed I'm going to give birth today or tomorrow at the latest. My mother in law did not believe me. In the evening I had not had any contractions. We went for our daily walk and I literally skipped around. I had so much energy (I had spent the last 3-4 days cleaning non-stop like crazy for your grandmothers arrival and cooking for the big dinner after she arrived). My husband and mother in law said there is no way I was going into labour any time soon. I would give birth in a few weeks. Plus I had only had 1-2 braxton hicks all day, no water breaking, NOTHING. So I went to bed around 12 after a few painless braxton hicks that were VERY far apart. August 17th. I wake up at 1:40, I am having a first real contraction. I run to the restroom where I have 2 more. I compared them to the predromal labour I had on Saturday and thought "they are about the same or slightly stronger". The different was they were closer together. A day and a half ago my doctor had yelled at me when he heard that I had not gone to the hospital after several hours of contractions about 7-12 minutes apart. He had said "you are a good stretchy 4cm so you need to go to the hospital fast whenever you get contractions". I had protested and said I heard you go when they are about 2-4 minutes apart. He said "you are way to dilated to wait that long." I started going back to our bedroom and I had another contraction. There was no doubt they were contractions but they were really not too bad, nothing I would need pain meds to manage! At this point I paced back and forth and decided it was time to go in. I woke M up and said I'm having pretty frequent contractions though I have not timed them. We need to go in. To myself I then thought, "watch them stop while we are driving." M got dressed and I grabbed some last minute items, then paced the halls. M woke his mom, gave her my cell and said we were going in. She was disoriented and jet lagged and didn't understand what happened. M helped me outside and a contraction hit and I squatted down at which time M got angry I wasn't getting in the car. He kept telling me to get in until I yelled at him give me a minute and I couldn't yet. I had more contractions during the 10 minute car ride to the hospital. After one I said "If this isn't labour then I don't know what is." I kept fearing I would not be able to tell labour apart from braxton hicks which I had not really had during my pregnancy. But I began to really believe I was in labour. M parked the car and we walked down the stairs out of the car park and into the emergency doors at the hospital. We were quickly given directions to L&D. I smiled and said thank you but had not been able to concentrate enough to understand how to get there. Thankfully M was with me. I was asked if I wanted a wheelchair and I said no thank you and that I would walk. We got to triage and I was sent for monitoring (I was still walking and would walk by myself to my room as well). At triage I was given a gown and hooked up to a monitor The monitoring only lasted one contraction because I ewas checked and found to be 7 cm. We were quickly taken to our labour suite where a nurse came in right away (this nurse never left my room ever, not even for a second!). I was placed on a monitor and I remember thinking the contractions aren`t bad they are very manageable! I gave my birth plan to the nurse (much of it was not followed - by me, by staff etc.). She did not push an epidural on me and coached me through contractions naturally. I was checked later and still 7 cm, waters unbroken. During this time the contractions got worse longer and stronger with back pain starting and ending each contraction. The nurse told me the baby was posterior and that's why 2-2 1/2 hours after arrival I was still 7-7 1/2 cm. I could hardly manage through the contractions anymore and my uterus felt like it was choking me to death during each contraction. Also the back pain was unbelievable. Also there must have been some decels because I was given an oxygen mask. I finally decided I can't do it anymore and asked for an epidural. Even as I asked I wanted to kick myself for it. The nurse had asked if I want to walk and move around like I asked in my birth plan but I felt like I couldn't get up and I was so nauseated (I was stuck in transition). As I waited I even wished for a c-section. Finally the anesthesiologist came in. He made M sit further away, I had an IV put in and my blood tested. I was turned on my left side and told to do what I can so that I do not move during the contractions. (I never finished reading the thing they gave me to sign about the epidural - its impossible to read and understand when you are in transition!!!). My back was sterilized and right before the epidural was placed a woman was wheeled screaming bloody murder by the hallway. The nurse and anesthesiologist looked at each other and he said "I wont be able to help her - its too late" to which the nurse answered "Yep, she's ready to go". At this moment I felt relief I was getting an epidural. The epidural did not hurt to get done and soon it began to help, but on one side until I was turned to the other. The nurse said the epidural was a good idea it may help me progress and it would give my son more oxygen. The doctor came in and broke my water (it had meconium) as she had said she would and soon after I felt pressure. I was checked and was 9-9 1/2. Then checked again soon after and only has a cervical lip. I was given 30 minutes before I would be checked again but the pressure was so bad so I was checked again in about 15-20 minutes and was complete. The nurse asked if I was ready to push. I said NO. She asked why, I answered I was scared. In a minute or 2 she asked again and I again said no but she said I had to push so a contraction or 2 later I began. The doctor came in after a bit and said I would need an episiotomy (even though my birth plan had said not to do that unless absolutely necessary, but I was in no fit condition to ask why or if it was necessary). I push. Next thing I know I look down and a nurse is holding a baby and first thing I think is where did THAT baby come from? Then I realized I pushed my son out! This was about 6 hours after the first contraction including 1 hour of pushing. I felt him moving down the birth canal but didn't seem to feel the moment he slipped out even though my epidural was on a minimum and I felt everything else. He was taken to a table to be suctioned and then he gave out a cry. I kept asking if he was okay and waiting impatiently to hold him. Then I held him and breastfed for an hour. He was so beautiful, calm and alert! He weighed 3.175 kilo or 7 pounds exactly and was 49.5 cm (19.8 inches). He was perfect and I fell so in love with him. It was easily the happiest moment of my life. Since then life has been about learning. You learning to do things but also you teaching and M and I learning. It has been the most amazing ride of my life so far. I spent about an hour and a half trying to get Alek to sleep last night. I fed him rocked him. M sang to him rocked him. We put him in bed and said goodnight and walked out. Nothing worked. He would fall asleep in our arms and the second we would put him into the bed he would wake up. We began to think about why this is happening and getting worse and worse each day and why he wakes so often all of a sudden. When he moved to the crib in our room he did great. Slept all night. Then right before he turned four months the sleep regression hit. Then we moved homes and he slept in the bassinet in our room until we could put his bed up in his own room. He slept not so great the first few days but all of a sudden I had a 9 hour stretch of sleep. I saw the light at the end of the tunnel. This was a month and a half ago. The light at the end of the tunnel grew dimmer then flickered out. Maybe I had even imagined it? What happened? We moved him into his own room back into the crib. The stretches got a bit shorter. Then shorter. Then shorter. Well it can't get worse right? WRONG. They got even shorter. We were up every 15 minutes to an hour most of the time. Oh that's okay? Well he began falling asleep worse. Then later. Oh that isn't ...a so scary yet? Well he wasn't waking up later either still 7:30 or 8 on a good day. OHHH. Yeah that isn't great. Poor you. Well I worry more about lack of sleep and his development but I'm not going to pretend that I am some ideal mother who doesn't need sleep and everything is always sunshine and roses. I needed sleep too! I was exhausted and actually had been having a cry in the dawn hours. M and I discussed things and deduced that he may feel uncomfortable in his new room. The fact that there is a balcony door and some light might come in from the cars passing by and streetlights. Also maybe the room is slightly chillier, even though it really is not cold in there. One way or another he seemed to hate the room. We decided to do an experiment and see if we are making things up and he really has just become a bad sleeper or if there is something about the room that he doesn't like and is keeping him awake. We had no time to set the bassinet up again so we got his stroller bassinet up and put him to sleep in it and walked out of the room. WAIT...silence....still silent. Wow could he actually sleep better? NAHHHH. We go to bed. I wake up to crying. What time is it? 2 a.m. That's not too bad. I feed him and he falls asleep straight away. That's awesome. We sleep. Then again he awakes and it is 6:30 a.m!!! That's a 4 hour stretch and a four and a half hour stretch. We haven't had that long stretches in a while. I guess we will set up the bassinet for tonight. Guess the idea of Feng Shui is real. Maybe be doesn't like the set up of where his bed is or the brightness of the room or something else. Of course it could be that he wants to be in our room. If that is the reason then we will have to teach him to sleep in his own room but for now last night was a success but the work is not done. A battle is won, but the war is still on. Today I sat with my son rocking him. He cried hysterically for no reason. Its 4 a.m. He falls asleep. Again at 5. And even worse at 6 a.m. In the dark I sit rocking him. He falls asleep but the second I get up to put him in his crib he wakes up screaming again. I'm really not even tired anymore, though I hope he gets his sleep for at least a few more hours. As I do this I wonder. Where did I go wrong. He was a great night sleeper until 4 months. If he didn't fall asleep while eating I would put him in his crib sing a song, give him a kiss, say goodnight and walk out of the room and he would fall asleep and not even call me back into the room once. What happened? Why can't he do that anymore? What happened to sleeping through the night? Could it have been because I didn't force him to take enough naps (he naps 2 or 3 times a day only)? Should I let him cry it out? Man I feel awful listening to him cry and not rushing in straight away, but should I? 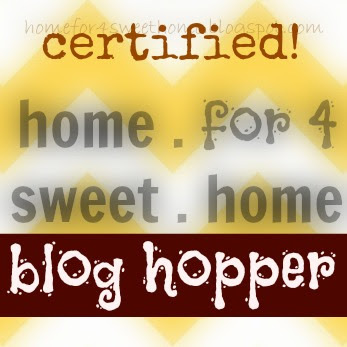 Today as Alek napped, I read a wonderful blog post. As I read it I first thought...well I know this stuff (in my heart). Then I found myself crying. It made me feel great. I hadn't felt bad today and Alek and I have been having a great day, but it was still nice to read. It was nice to have someone identify the feelings you nevertheless sometimes feel, even if you try to bury them. The feelings sometimes creep up on a bad day and you just can't shake them. In summary the post is about not giving up. Some moments are hard. Sometimes you feel like you want to throw in the towel and quit, or like you failed. You shouldn't and you haven't. Things you think (or others think) are unimportant are important. Putting your child to bed, a goodnight kiss, a kiss on the boo boo, wiping your child's nose, making sure they are dressed weather appropriately and so on, these things make all the difference to your child What you do is important, to your child(ren), to your family. We do not need and should not compare what we do to what others do, because you are the perfect parent to your children. "[Y]ou only fail if you quit." This post is a wonderful reminder to mothers (actually fathers too!) of the astounding and wonderful things you do each and every day. Your actions have an impact! We are not always strong, sometimes we need help or encouragement. Sometimes you really need to hear the "thanks" or great job" or "let me lend you a hand, you look tired". We do not always need to put on a happy face and pretend all is perfect. and dandy, even in front of or rather ESPECIALLY in front of other mothers. We should be there for one another and understanding instead of competing around whose life is more ideal. We should bond and be there and understanding of each others struggles and not only the achievements. Food used to be simple enough. Eat, don't eat, diet, don't diet. I mean it was always nice to be able to eat everything you would like and not gain weight or get an allergic reaction but it was simple enough. When you get married things get slightly more difficult. After you get married or move in with someone you now do not only think about yourself and your likes or wishes but another persons as well. Well add a child to the equation and things get messy. With a child you decide when to start solids, between 4-6 months. The WHO recommends starting solids at 6 months (after 6 months of exclusive breastfeeding). This is not always possible, you may have problems breastfeeding or maybe your child's body matures and needs solids slightly before the 6 month mark. It's kind of like putting an age on when people can vote or drink. Maybe that is the average that most people seem to be ready to do such action responsibly but that does not mean all people are, some are ready before some are ready later. After you decide when to start solids you need to decide what to start with. No longer does advice say that you HAVE to start with cereals, first rice cereal then veggies then fruits and so on. Its your choice. I started with sweet potato after much research, moved on to avocado then banana and next is squash. When you start advice seems to recommend doing one food for 2-3 days before moving to a next new food. Why? So that you can watch for possible allergic reactions. Apparently some research now says this is unnecessary if you have no family history of a specific allergy in the family. This makes sense, but I am going with the better safe then sorry approach. Being a first time mom I still feel timid and not very relaxed yet about this whole solids thing. Breastfeeding I am not very familiar with...solids, not so much. Also now the way to feed solids is under question. Before it went without thinking that first you start with watery pureés, on to thicker and thicker pureés, then finger foods and so on. Or maybe I was just not interested in this topic being a teenager and all several years ago (well a few more then several) that I just assumed that was how it has to and always was done. Lastly you must worry about allergic reactions. Is my child allergic? Why did my child get a diaper rash? green or orange poo? a rash? Next the question to what is my child allergic or having a reaction to? So now moms and dads must worry about what is causing an allergic reaction. It may not be the food, it may be laundry detergent, someones perfume who held your baby, a new cream or just about anything! If that was not enough as children get older you see that they do not clear their plates often. Food gets wasted. As I remember when my nefews were small my sister had no time for food plans and separate preparation for herself. Whatever was not finished she snacked on. What would happen is she would NEVER have a real meal herself. She went snacking from one plate to the next. This can be bad for the waist line and this may not fulfill your nutrition. Another thing that must be thought about is fulfilling not only your child's nutritional needs but your own. With a small child you seem to forget yourself often! Dieting. This is hard when you have a young infant who is teething, or has gas pains, colic, reflux etc. When baby sleeps in short spurts or not well and/or when they are cranky dieting is impossible. Or maybe I just am making excuses. I find that when I am utterly exhausted snacking helps you keep some energy (especcially if you try to limit coffee). Hence you sit and snack all day and all is good and gravy right after birth if you breastfeed. The pounds fly off. Then one day, they just don't. But you think the weight loss just slowed up and continue what you were doing. Suddenly weight SLOWLY starts to creep up. HUH! If you are lazy like me to begin with, and an anxious FTM who freaks out a bit if their child is out of sight you are probably not exercising months down the road even after you get the go ahead. I can advise for each mom to take time for themselves but I know how HARD that is. When you get a spare moment you want a nap ... to read... to watch a movie, or something entertaining or relaxing. The last thing you truly want is to exercise and get back in shape. One way to avoid the creeping of weight back up is to not begin the crazy all day snacking and to just have healthy good meals (if thats even possible!). One way or another we will all get back into shape, I know I will!...some shape. Just about half an hour ago M and I were putting our son to bed after his bath. M turns to me and asks, "do you remember why we started doing 'concerts' after his bath?." I answered "well he used to cry, it was a way to distract him." M then answers "but do you remember why he used to cry?." I answered "he hates it when he have to dress him." M then says, "he hated when we put a hat on him the most." I had completely forgotten that. Things you think you will forever remember may not be remembered. Some moments and many things especially that occur often are remembered and the general things but specific incidents and events become completely forgotten. For example, I ask my mom when I cut my first tooth or began crawling, the answer I normally get is, "oh around the average (normal) time when all kids do." Or even my first word "Mama or Papa". Hmmphh well that's fine and dandy but I would love to compare my sons achievements to mine and my husbands when we were that age but alas that information is lost in the black hole of time. One of the best pieces of advice I found online was to keep a journal. I started one the day (well a few days after but topics from) I became pregnant. I keep this journal to this day and am not planning to stop anytime soon. When/If I am lucky to have more children, I will make journals for them as well. The journal does not HAVE to be fancy looking but a nice one is great if you will give this to your child someday. Also a word of advice: choose in what perspective you want to write (1st person, etc.). My journal I never decided which perspective I want to write in so some are addressed to my then unborn child while some are from my perspective while some are from 3rd person, which looks quite eclectic. What should you record? Anything and everything you find interesting. I record(ed): his heart rate at appointments, my measurements during pregnancy (weight gained etc. 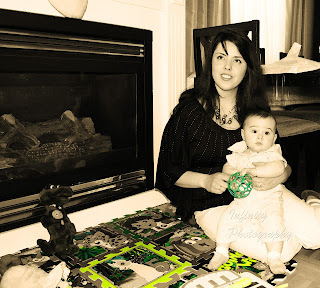 ), his birth story, milestones, and funny things that happened. Write these events down each night or few or as soon as a memory is fresh so that dates or what happened does not get mixed up. I treasure the journal I keep. I have been able to fill out the baby book calendar with information from it. I have been able to look back and remember my birth more vividly I also read it to remember when certain milestones or events occurred Also I use it to compare the height/ weight measurements from one well baby appointment to the next. If you start this you wont regret it one day, even if you don't write in it all the time!!! No exciting post or tips today, just a little update on whats going on at our house. 1) I am seriously researching a switch to cloth and awaiting my new "fluff". Love the explaination about cloth on this site: http://simplemom.net/4-cloth-diapering-choices-defined/. I ordered a 6 pack of Kawaii Heavy Duty HD2 multi-colour. After research and not being fully sure if I will cloth diaper I found this to be a cheap but very good cloth diaper. My aid in research more then any other site was a blog I fell upon accidentally: http://allaboutclothdiapers.com/my-recommendations/ . If I like it I will also order the flip day package and I already have a Bumkins AIO (not because of great reviews but because I assumed AIO [all in ones] are easiest to use AND because of the beyond adorable blue Dr. Seuss pattern! If I still want more and decide on cloth full time I will buy additional inserts/soakers , wetbags and prefold cloth diapers with covers. I am so excited its like waiting for my birthday as a kid! 2) I bought Huggies Goodnight disposable diapers on recommendation and in the last 4 days there has only been one leak. My son must be a super heavy wetter, jeez! 3) We are on to banana pureé. He makes a eww gross face but is now eating about 1 whole baby spoon. Sometimes I give him the spoon and he is not making himself gag as much as before by putting it too deep into his mouth so yay a good step in the direction of trying BLW in about a week and a half. 5) How did I forget about this until I got to number 5? What am I talking about? Teething update. A White cap can be seen through the gums in the top left front and the bottom is much less gummy you feel teeth really close to the surface. Hoping a tooth pops through in the next few days! 6) Gaining independence Alek is able to play by himself in his crib, playpen or exersaucer for much lengthier periods now, sometimes up to around 45ish minutes. This is awesome when I am exhausted or need to clean or cook...or all 3. 7) We have a well baby appointment coming up but I decided not to wait and measured and weighed him. My darling baby is in the 95th percentile for height now! He is also in the 80th-90th percentile for weight so we may soon be saying adieu to the Fisher Price Cradle N Swing. 8) Naps. We have been taking them. Even 3 a day sometimes! Hooray! 9) Alek looks so close to crawling. He picks himself up on his arms and knees often and even tried to move his legs sometimes! Connected to this- The activity part of the activity gym will soon be hidden because he is always making it tummy time for himself and when he tries to crawl he hits himself against even the non-dangly toys like the sun at the very top of the gym. It has been a busy week but a pretty good week overall. Lots of new expressions, babbling, REST, games and fun. Lots of excitement and things Alek and I have learned from each other (and from others). Also lots of help from my wonderful husband who, as I write now and while Alek sleeps, is working at home due to the ``worst snow storm in 5 years`` (as my FIL stated). While pregnant and after I was a very un-"crunchy" mom. I may have had some ideas of birth and child rearing that fit in with the crunchy granola moms but mainly I was not crunchy at all. Now I start noticing my ideas and views and wishes seem to be lining up more and more with those moms. Breastfeeding past a year, buying organic, baby led weaning and the like never even crossed my mind for a millisecond. At first I was sure I would do crying it out if needed as sleep training, well he hasn't been a great sleeper since the 4 month sleep regression (some nights are great), well I not only keep putting off sleep training but when I think about doing crying it out I make up my own lighter type of version with picking him up. The only part being kept in my mind is letting him cry a few minutes giving him a chance to settle down on his own, or letting him fully fuss it out if he isn't crying. I never thought about solids before but when it came time I decided I would be making the purees AND using organic produce where possible. I never bought organic products before and never really cared. Plus I have tried purees 4 times so far and I kind of wish that I had never done pureés but rather baby led weaning (BLW). Im too scared to fully do BLW but I think I will add BLW type foods and elements into how I feed him. For example, my son has started eating every hour to 2 hours about a month ago (except for nights) and after a few really bad nights (ever since I decided to take a break on solids) I began to think maybe adding solids will ensure he is less hungry and wont need to feed so often at night (and during the day but that is less important). Soon we will try avocado chunks, exciting to see if he will like it more then pureé. Diapers. Disposables obviously, right? Well I thought it was nuts some ladies wanted to put that much effort and time into non disposable diapers. I mean, our moms did it and they think disposables are AMAZING and hey baby items keep progressing and making things easier for mom. Well, my son seems to have kind of sensitive skin. He gets reddish often enough, not a full blown diaper rash, he had 1 diaper rash that went away in like a day or 2 but he gets redness. I began caking on diaper rash cream even more then I used to but he still gets reddish sometimes even if slightly. I'm thinking "Great, who made these disposables *rolls eyes* I wish I could have done cloth diapering part time." Well yep thats I more thing with which my mind has totally been changed. I think cloth diapering 24/7 would be hard but I wish I could have done it during the day and only used disposables at night. Its cheaper and your child isn't sitting in chemicals and plastic all day. At the moment I am sitting here anxiously awaiting a cloth diaper I ordered to give my son a break each day from being in disposables. Plus yesterday a cloth diaper Bummis Swimmi diaper arrived. I was so excited it was like waiting for my birthday! Next on the list is labouring. Hospital check. OB-GYN, check. Epidural, if needed. I remember when I was reading birth stories when pregnant one girl wrote her mother in law said midwives are witches, well I didn't go that far but I was like "WHY in the world would you NOT take an OB". "Why would you do a water birth". I laughed at Lamaze breathing and the list went on. Well, next time I'm thinking of maybe going with a midwife so that the types of things I had wanted and put in my birth plan were followed more closely. I mean I loved my birth experience last time but maybe if I was more ready and had a carer who was more natural centered I would have had less interventions (even thought I did not have WAYYY too many but I did have some). Plus I hear water is very relaxing during birth, maybe I wont do a water birth but maybe I can get a room with a pool next time. 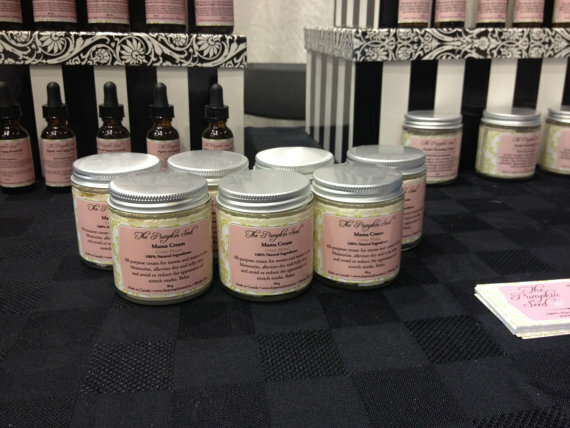 Organic, healthy, natural products. I never really cared at all. Well now I am soo excited about the Little Eco-Footprint boxes I subscribed to. I will learn more and sample better products for my son. Why not pick the healthiest best choices for our little ones. TV. Why cant little ones watch a little every once in a while. Well now I am like the guardian of the television. Whenever my son has view of it, I turn him or stand in front of it. No TV till at least 2 years old. He has his whole life to watch TV. What I have not changed my mind on is: co-sleeping, home birthing. These are not for me. By the way I am not saying all crunchy moms do all of these things either. Also not all moms change their minds nor am I particularly saying they should. Sometimes formula feeding may be the best choice because of the stress and problems with breastfeeding, sometimes co sleeping is and sometimes your child will tummy sleep if you want them to or not. Main thing is even things you are sure about are not a given, your mind may just change as your child grows. Now if your husband also allows you to buy the things needed for changing your mind all the time. haha just joking M already let's me get so much baby gear and I love it! 2 days ago I decided to try avocado He had had a horrible night and kept waking up hungry. I decided with solids maybe he wont be so hungry in the middle of the night. I know, I know they say solids do not aid sleep but I still hoped. So sweet potato was tried about a week and a half ago and I decided this time to try another food: avocado. So I mixed it with a tiny bit of breast milk and mashed it. He made the ewww face again but he did not push any out of his mouth and he got more in himself then he did with the sweet potato. I call that relative success I worry though that he does not like the consistency of pureés so I wonder if I should do BLW as I mentioned. Yesterday we did avocado pureé with a tiny bit of boiled water (mashed with a potato masher). Today I may try and give him an avocado chunk and see how that goes. Today is the 3rd day of avocado so we may try banana tomorrow. Remember with solids at first it is recommended to wait 3-5 days before trying a new food so that you know if there is an allergic reaction what the allergy is to and what to avoid. Baths are a great fun way to wind down the day. With a newborn especially as a first time mom there was a lot of anxiety and fear of HOW to bathe someone so little, it scared me. Bath times may be hard at first but as both you and baby get used to them they become more relaxed and fun. Also as your child gets older it gets easier to bathe them! One of the first questions that a parent should decide is how often to bathe their child. I was told at the hospital it is best not to bathe a baby every day because it dries out a babies skin and isn't good if a baby has eczema and so on. Ultimately the decision is to be made by the parents. The up-side to bathing your child each day is that it develops a routine and children love routine, it is a great way to wind down the day. You may also take your child's cues (some children love bathing, some not so much). Some parents bath every day, some 2 times a week. The decision on how often if one that each family makes to fit their schedule and their wants/needs. Another problem that comes up before your baby is even born is where to bathe the baby. There are many different baby tubs that can be bought some are great, some are okay and some are...horrible to say the least. Also some tubs are made for older children, some are aimed for newborns, some bath tubs are made to "grow" with the child. I have used 2 different tubs so far and am soon going to start using a third when my son begins sitting confidently by himself. The first tub was able to be folded. The beauty was that it folded in and took less space. Sweet huh? ...Well no its not. Why? It holds hardly any water, then again a newborn does NOT need much water in their bath, but an older child needs more. They are easy to leak, what a mess! And its not a good tub to bathe a newborn because it doesn't have a sling or anything so especially as a first time mom you will NEED someone to hold baby as you bathe them. Maybe there are better fold away tubs but mine was not. The second tub I LOVE it is the "Three-Stage Newborn to Toddler Baby Bath" from Walmart. It has a sling for the newborn so that you can put them in the sling and just hold one hand over them just in case and bathe them with your second hand. Also then the sling comes off and a bigger child can sit in the tub with MUCH more water then many tubs afford. 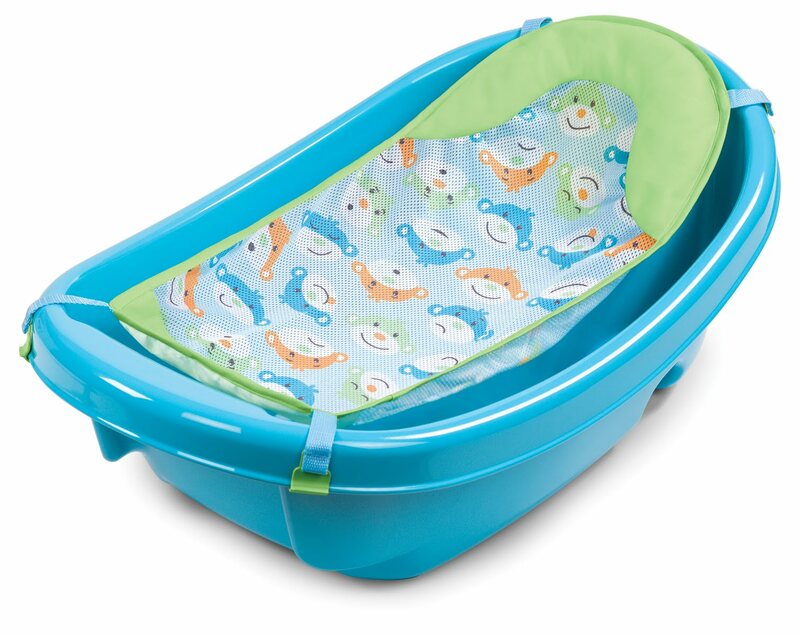 It says it is newborn to two years but I would not push it that far I say your baby does not NEED a baby tub past probably like 7 or so months but maximum a year. I kind of wish I could have tried a baby "bucket" bath, those look cool and are probably great for just quickly washing up baby after an explosion or something though I would not use it for ever bath because they are intimidating and I like to use a bath for him that feels more like a bath and one in which I could reach different body parts to wash easier. The next tub I got as a prize for my points from Huggies. It is the "Disney Winnie the Pooh Inflatable Safety Bathtub". I cannot say whether I like it because I have not used it and will not until my son can confidently sit on his own. When a child can confidently sit on their own you can use the big bathtub but I thought this was a nice transition because the adult tub is so big. I will place it in the adult tub like I have with the baby tubs from the time he was about 6 weeks old because it is less mess but if you haven't done it before then you can begin the transition to an adult tub by putting babies tub in their for a week or so in the hopes that they get used to being in the adult tub and are not scared or overwhelmed when you do put them in the big tub. You do not want them to get scared and hate bath time. As a first time mom bathing my son was very scary. I say this knowing I had my husband and MIL there during bath times (M would hold Alek, I would bathe and MIL would then carry him all toweled up to the bedroom so we could dry him and clothe him again). Really you don't need so many people at all even bathing alone is okay if you have a tub with a sling for your newborn though it is nice to have another person there to help you put your wet baby in a towel after the bath. Until the umbilical stump falls of you will be doing sponge baths not regular baths. Before the bath make the house temperature warmer. What I would do is put baby clothed on the (uncovered) waterproof diaper changing pad. I would take of babies clothes one at a time depending on what body part I am washing. Newborns do not like being all naked and usually do not like bath time at first so work quickly and keep them warm where you are not washing. You start with the least dirty place to the most dirty place. So you will need a towel, wash cloths, a bucket with warm water (test with your elbow- water should be warm not hot or cold - Hence work quickly!!! ), fresh diaper, fresh clothes and cotton balls, lotion, diaper rash cream these items should be ready and baby is brought in when all is ready. Put baby down and start with the face. Use the cotton balls for the eyes dip them in water and work from the outer part in, if you need to do more then once then use the other side of the cotton ball not the same side because it is dirty already. (I usually use a cotton ball to clean behind both ears as well). Then wet a wash cloth and clean the babies face and dry it. next take off babies top and with a wash cloth (without soap) wash the babies arms, stomach, back then under the arm pits. Then dry baby and put another top on. Next take of their pants or bottoms and wash the legs and dry them and dress. Lastly you will clean babies privates. Take off the diaper and wash with a wash cloth (make sure you get all the million crevices! and then dry baby and the babies million crevices and cake on some diaper rash cream. and diaper the baby again. Now if you are washing babies head I do it last even if it is recommended to do it earlier in the process. Use a new washcloth and LIGHTLY wash and dry and I put on a hat so that it dries even better and babies head is warm after bath. Putting on lotion and/or diaper rash cream is a good idea if the weather is dry and even when it isn't to prevent redness or rash in crevices that baby has such as near the wrists, on the neck and so on do this after drying baby and before dressing. The umbilical cord stump does not need special care. Using alcohol rub can possibly make it so that it takes longer to dry and fall off. Though if it is bleeding you may need Polisporin. Be careful around the stump and don't clean or touch it too much and make sure it remains dry!!! The stump will fall off usually in 7-14 days. You need the same items before bath time (towel, cotton calls, wash cloth, fresh diaper, clothing, lotion, diaper rash cream). Bring the baby in when everything is ready and baby can be naked. Do not fill to much water into the tub but then again if you have the sling I think you need more then the 1-2 inches recommended. Although keep in mind when bathing baby you cannot be distracted even for one second, hawk eyes are needed especially when baby begins squirming. At this point baby begins to like bath time more. What I did is I put enough water that his back and bum were wet through the sling and i would pour water on his belly and front every minute or so. You still need to wash quickly even when using this bath, bath time usually lasts about 5-15 minutes no more (closer to about 8-10)! You can now use baby wash or soap. Again you wash from least dirty to most dirty. The face is washed without soap and I don't use soap on the neck either because my son has a lot of creases and I wouldn't be able to wash the soap out! Lather up the washcloths and have fun (Don't overuse the soap because there is no point babies don't exactly get dirty and you don't want them pulling soap in their mouths once they find their arms). Now you can wash the head with soap lightly lather, use very little soap then rinse carefully (if you don't rinse well it can cause more cradle cap). ***What we do is for rinsing time is my husband lifts him up and I use a cup and from a bucket of warm water I rinse him with warm clean water since the water in the bath tub has soap residue in it then I get a towel and wrap him up in it. If my husband was not able to help I would probably just pore fresh warm water onto his arms and tummy and then lift him and rinse his head out of a cup while holding him. Hence now I needed a cup and a bucket or bowl with slightly warmer water then in the baby bath (by the time you use it it should be like the water in the tub). I personally add much more water then it says to on the baby bath so that his tummy is covered. He loves being in warm water and can stay in the bath much longer this way and loves splashing his arms around in the water. Bath time is sooo fun for him now. At about 4 1/2 months I added in a rubber duck and a Sophie the Giraffe bath toy I know I know it says 6 months but I don't give them to him I use them to keep his belly warm with the water that can be gathered inside of the bath toys and he loves seeing it happen and finds it sooo funny. Sometimes before I start soaping him up I find him the bath toy to play with and he passes it from hand to hand. He also loves trying to grab the wash cloths now too :) Soon we will transition to the inflatable tub where he will sit and I will give him a ship bath toy I bought him. At about 8 months I will probably transition him into the real bath tub. ***** Hmmm bathing a newborn feels like it happened so long ago so I may have forgotten something and well bathing a older child just gradually transitions from bathing newborn it all kind of happens smoothly and you don't even notice just watch your babies development and do what you are comfortable with and make bath time fun and a nice way to WIND DOWN the day. Dear son, can you begin to sleep through the night again? If you do you will feel better rested and wont be in a bad mood leading up to your nap. If you did have a bad night can you at least sleep until 8- 8:30? I guess you didn't get the memo that children should sleep 12 hours over the night but at least 11 would be great. Children grow while sleeping they say. By the way waking up earlier then usual and waiting for your mom to take your diaper of then going number 2 on the changing table is NOT funny. - Love, your utterly exhausted Momma. Dear Huggies, you used to be my favourite diaper brand...what happened? I moved Alek to size 3 about a month ago. The size is definitely not to big and it is not to small!!! If the size is not wrong uhmm why have there been leaks during the night for 2 nights in a row? My son wakes up cold, wet and grumpy. A diaper should be able to hold 10-11 hours without leaking!!! How come the fit is now bad? Very upset and need t buy Pampers for night time now. - The disgruntled upset customer. Dear Johnson & Johnsons, you may be cheap and I may like your bath wash and shampoo but your baby soap and lotion have extremely strong scents. My nose is sensitive to smells and I imagine my son's is as well. Children need more milk smells and I regret buying those 2 products and am going to use Lil Goats Milk products from now on. - Surprisingly unhappy consumer with a sensitive nose. - The 5 month postpartum woman struggling to keep wearing her old pants. Dear cat, thank you for behaving so well yesterday but if you claw at the leather chair one more time I do not know what I will do. I will not be so nice next time and you will only get your dry food no "snacks" and fresh fish or wet food! - The family who would like furniture that looks like it hasn't all been ruined. Dear camera, sorry but you need to be thrown out very soon. You had your run but I cannot change batteries once a day to keep you running. Dear family, thank you SO much for taking Alek outside for a walk so M could take me to a resteraunt grab lunch and go to a store for 2 hours. I really needed the break.